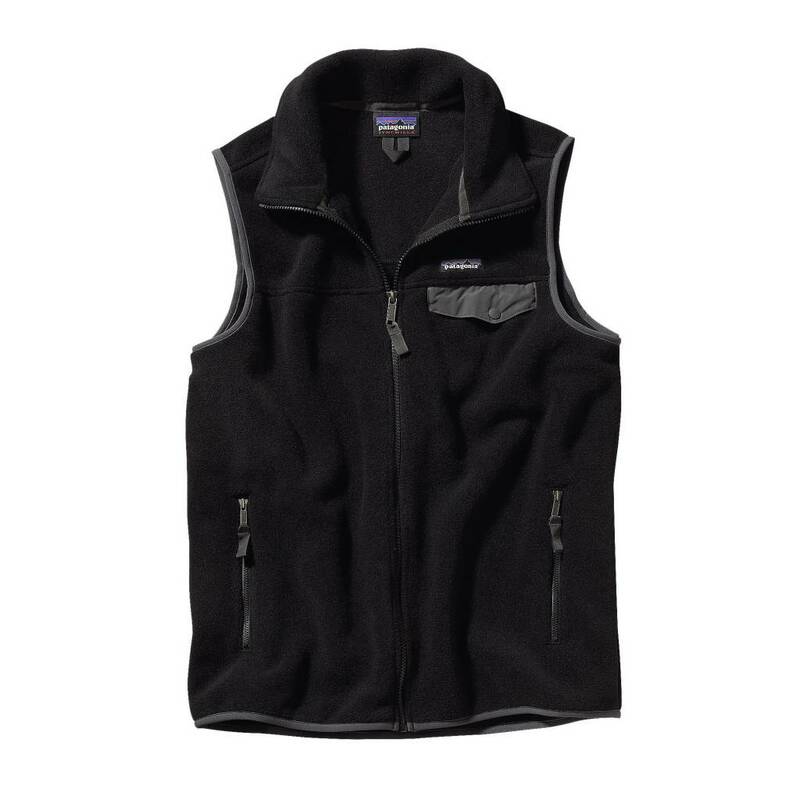 The Lightweight Synchilla® Snap-T® Vest holds body heat close to your core while allowing your arms to move freely and get the job done. Warm and comfortable enough for a lounging session, it has the soft yet technical benefits of a lively double-faced fleece to trap body heat, hold off breezes and resist abrasion. Velvety smooth but decidedly durable, it wicks moisture, dries fast and fends off the Central Coast chill. Made to exceptionally high standards from lightweight double-faced 100% recycled polyester fleece, it adds warmth when worn over a shirt or under a shell; it also makes a great pillow on long road trips. Lightweight and stuffable, it features a full zipper, a stand-up collar for additional warmth and two zippered handwarmer pockets. The left-chest pocket has a nylon flap and snap closure. Elasticized binding at the armholes and hem feels smooth under pack straps and hipbelt. Hip length. It’s also Fair Trade Certified™ sewn, which means the people who made it earned a premium for their labor.